NEWS: IED Turkey – Tuzla parking protest. Channel delays: Strike in Le Havre this weekend cancels DFDS/LDLines Portsmouth-Le Havre services. Weather alerts: Amber alert for heavy rain north east Spain and storms southern France. Weather: Chilly, dry East. Warmer, unsettled west. Random pic: on the A3 southbound between Cologne and Frankfurt, May 2013. 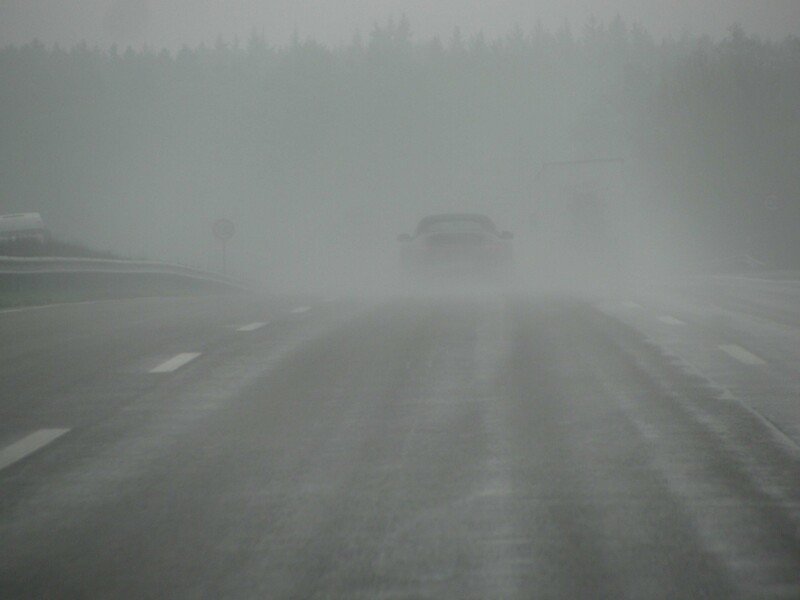 Torrential rain – terrible for: visibility. Great for: cleaning the windscreen. Go figure. TURKEY. Police have destroyed a roadside bomb found in the Lice district of Diyarbakir province in the south east of the country. It is assumed to have been planted by the PKK terrorist group. Later reports say it weighed 100kg. BOSNIA. Residents in Tuzla drilled the tyres, smashed the wing mirrors and spray painted ’feel free to park here again’ on a brand new – though unlicensed – BMW X5.